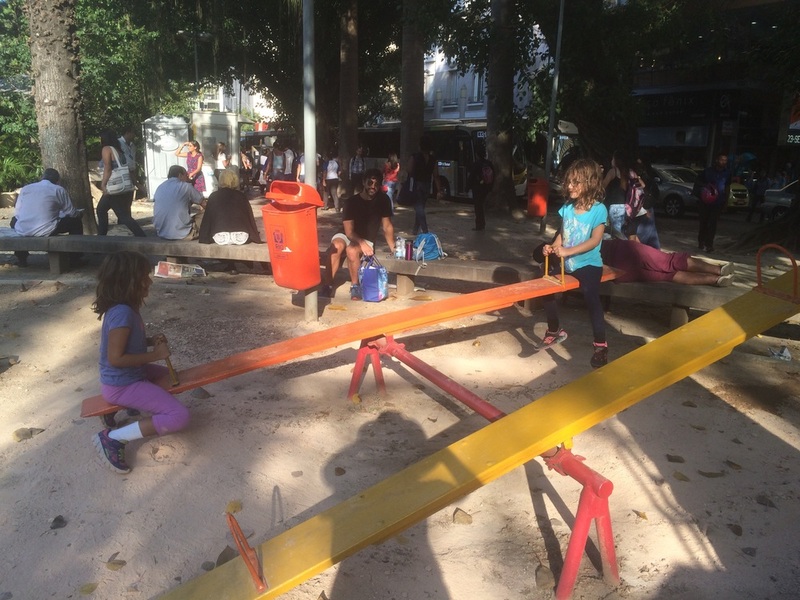 While Rio has its share of big city problems, we appreciated the ways they’ve tried to make the city more livable and family friendly. This included mini-playgrounds found throughout the city, which is not the same as a big green space, but is at least something given that space is at a premium. The kids enjoyed these playgrounds and it’s a chance for them to get their wiggles out, however small. Amy & Hannah enjoying an old-fashioned teeter-totter. This little park was right across from where we were staying. 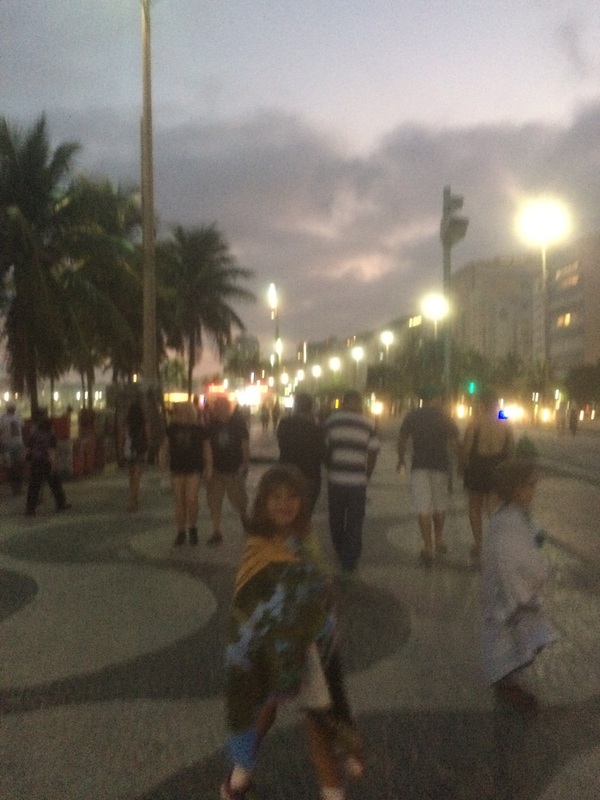 Like in other cities, on Sundays some main streets along Copacabana and Flamingo beaches are closed to walkers, runners, bikers, etc. 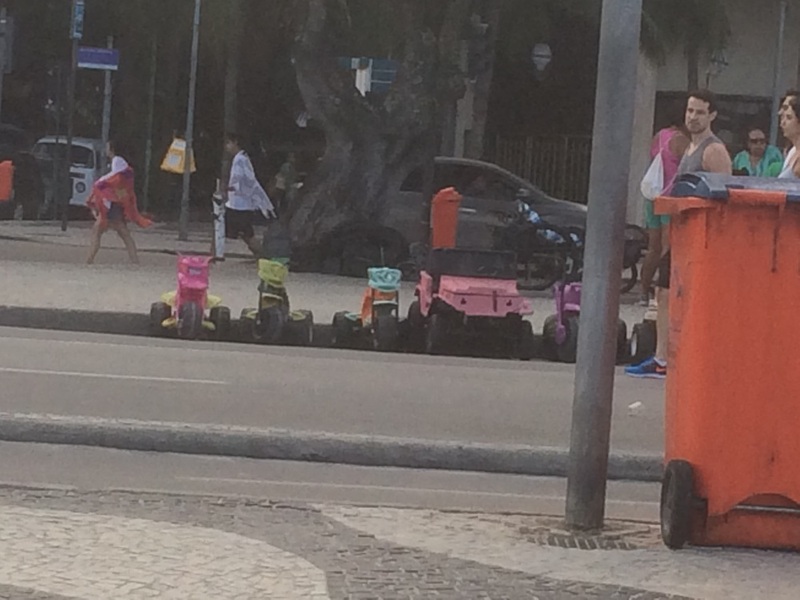 Kids can rent tricycles, big wheelers, and ‘jeeps’ to pedal along the street. There are also several bike rental stations throughout the city for the bigger kids and adults to rent. 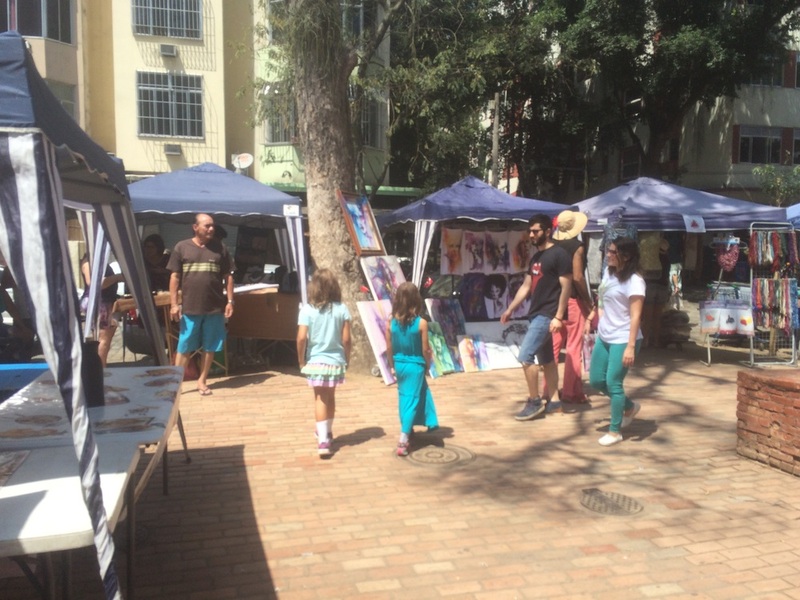 Sunday is also when you’ll find artisan markets throughout the city. This is where Hannah bought a mermaid Barbie to kickstart her Barbie collection she says she wants. Hannah & Amy off to explore the market. Finally, there is the fact that all of the attractions and transportation are free for kids under 6 and half price for kids between 6-12 (this was the case in Foz do Iguazu as well). As a family with a 5 and 8 year old on extended travel, we greatly appreciated these cost saving measures. Sugarloaf Mountain from the ground. 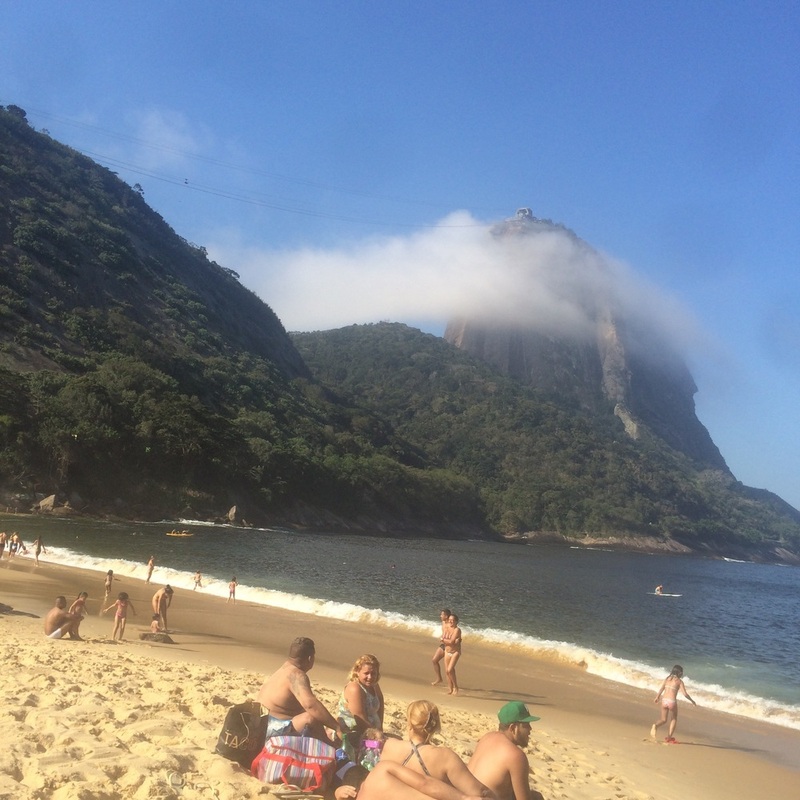 The day we went that one cloud just didn’t want to pass by Christ the Redeemer. Another half-priced attraction for kids. Now you can see why we love Rio! 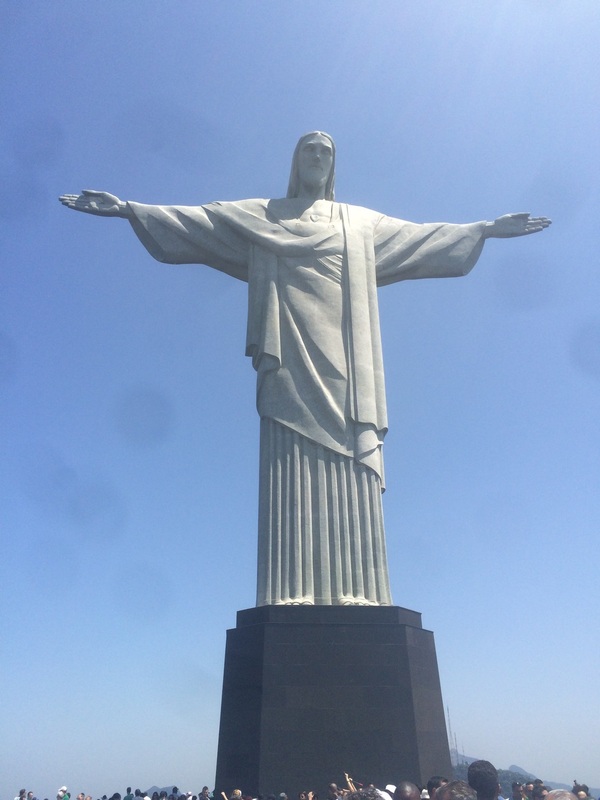 I totally loved Rio when we visited pre-kids. It does indeed sound like a great place to take them, I’ll bear that in mind.